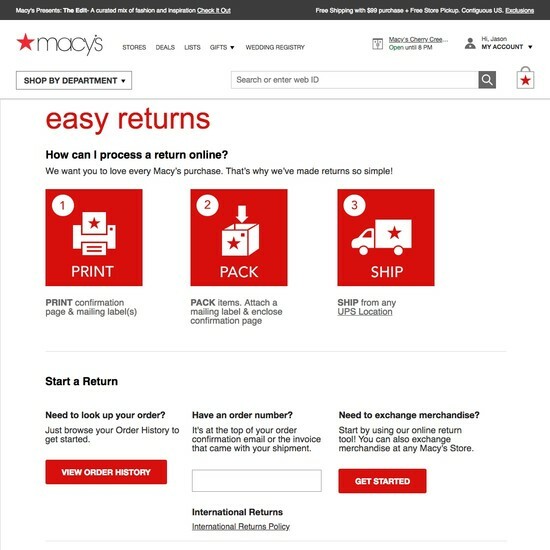 Our quantitative research reveal that 29% of e-commerce users who access their e-commerce account, do so to initiate, manage, or complete a return. 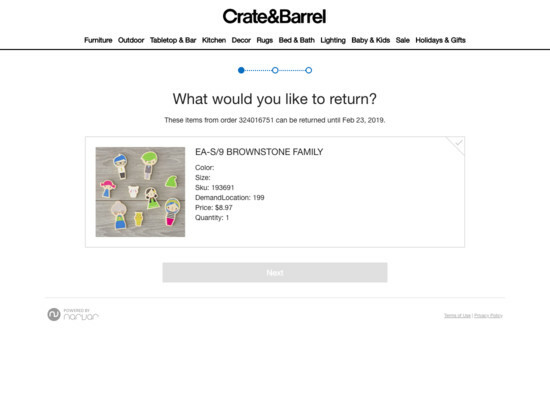 Furthermore, we’ve found that 53% of users returned at least one item in the past year to an e-commerce site, and we found that 11% of users have abandoned at least one purchase in the past quarter solely due to an unsatisfactory returns policy. 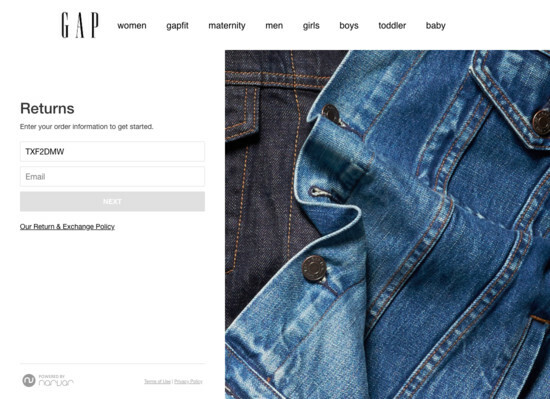 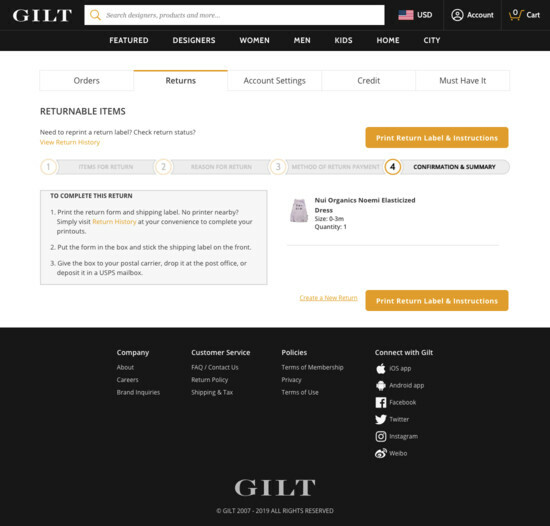 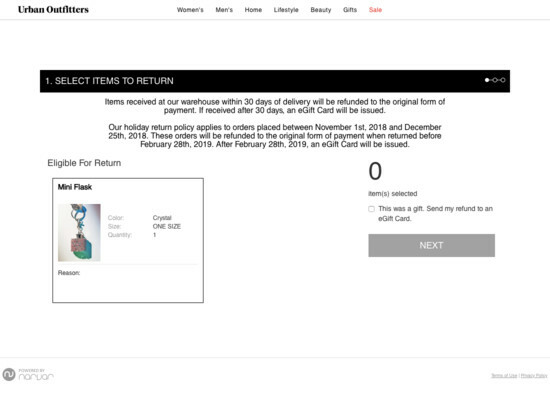 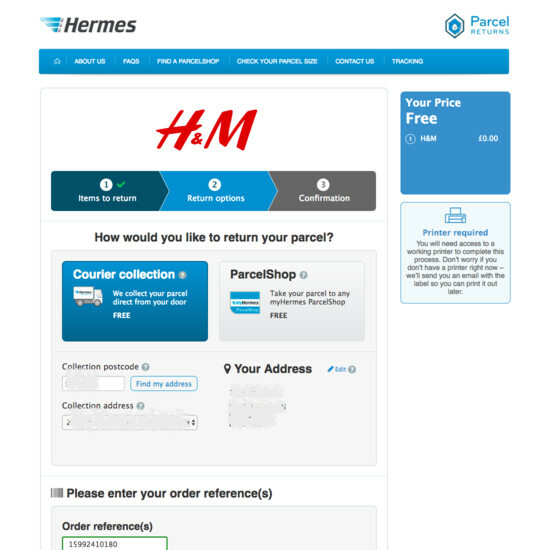 Despite the importance of returns, during our large-scale usability testing of the returns processes at e-commerce sites, we’ve found this to be the single Self-Service and Accounts related feature that generate the most frustrations and usability issues for users. 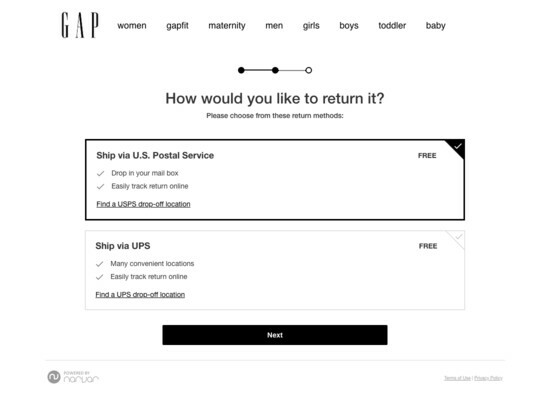 Our quantitative study of 1,103 US adults finds that 7% would never purchase from a particular e-commerce site again, while 13% would be unlikely to do so — solely due to a negative return experience. 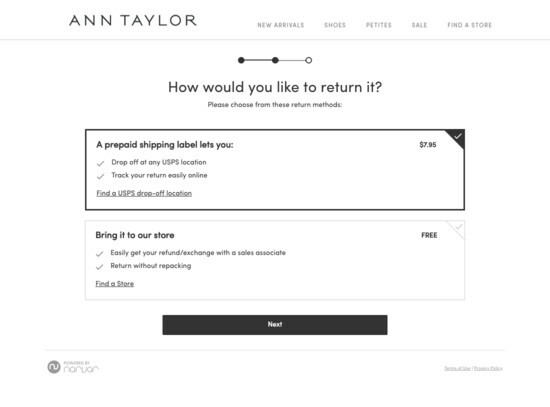 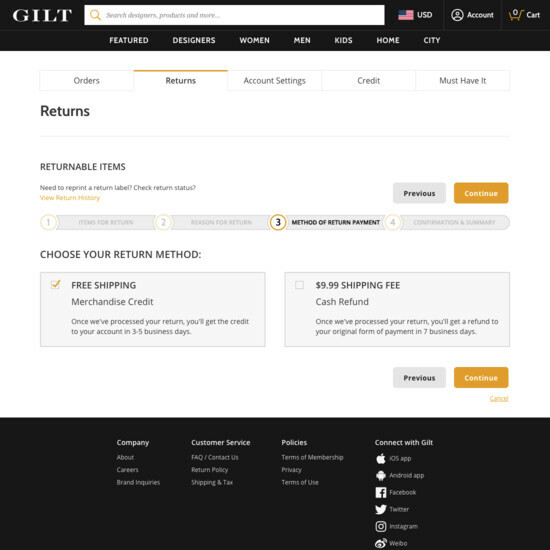 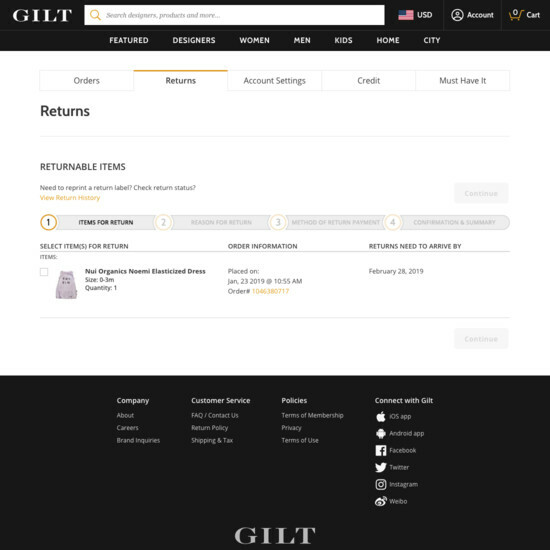 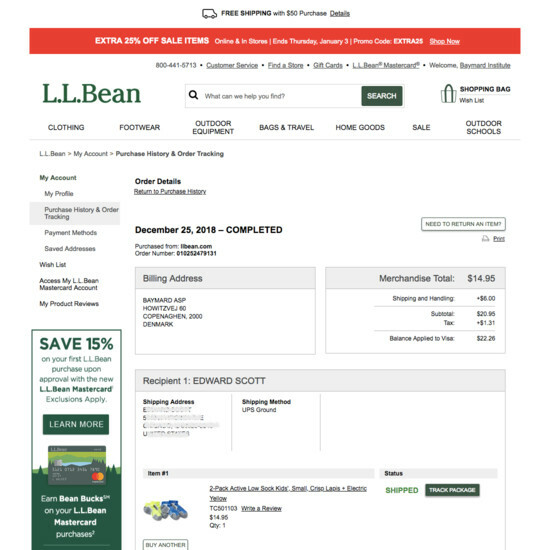 Our testing reveal a long array of potential pitfalls in the online returns experience, such as initiating the return on the e-commerce site, moving through the return flow, printing the shipping label, returns costs, returns shipping methods, in-store returns, and communicating the status of an ongoing return. 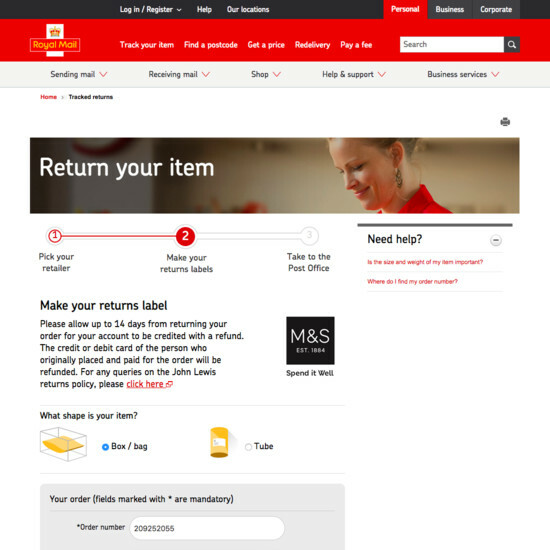 Unfortunately our testing also revealed that while a pre-printed return label in the original package is greatly appreciated by some users it doesn’t replace having an online returns flow. 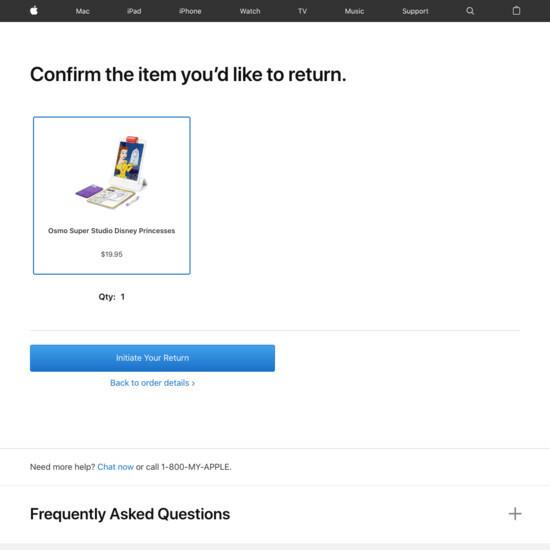 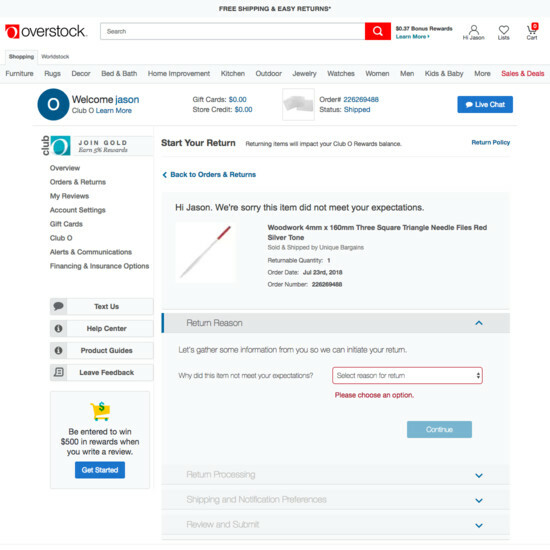 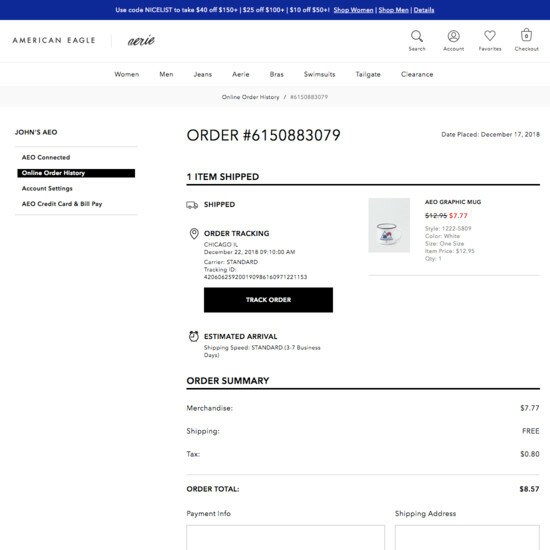 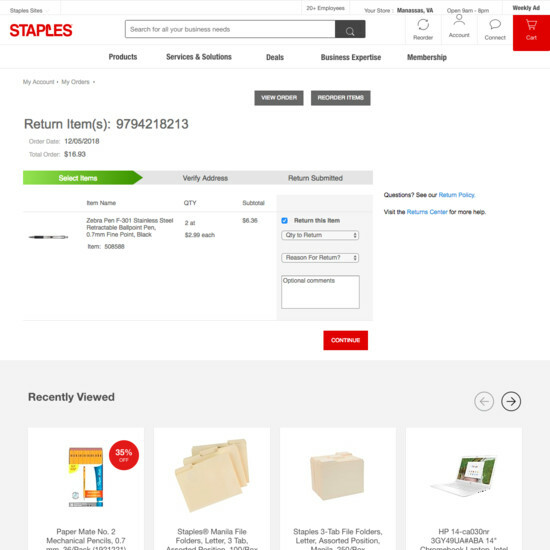 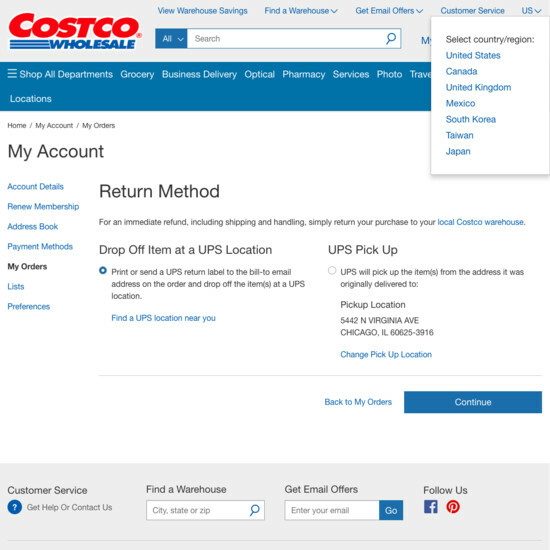 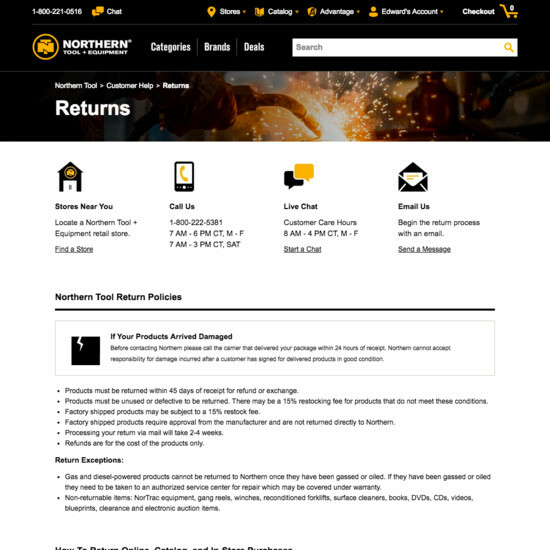 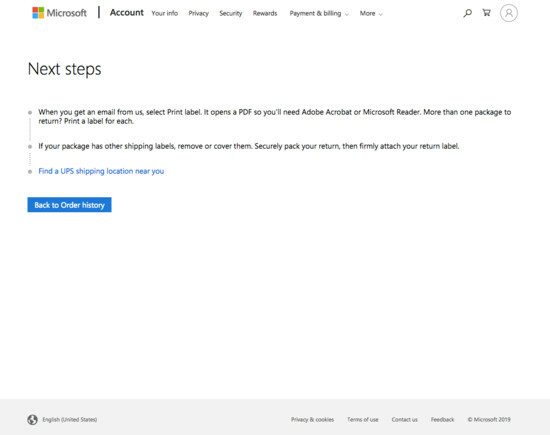 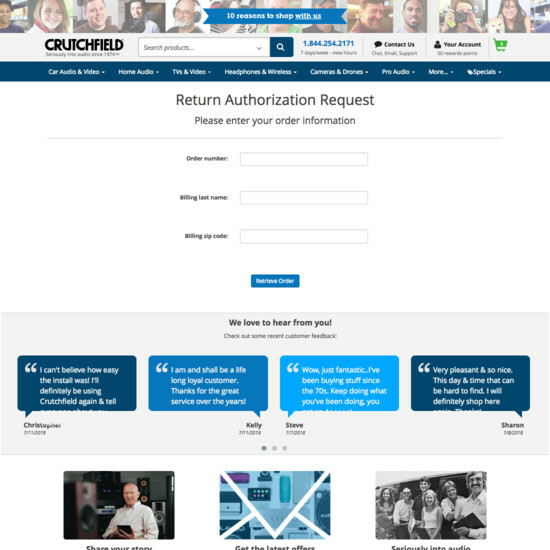 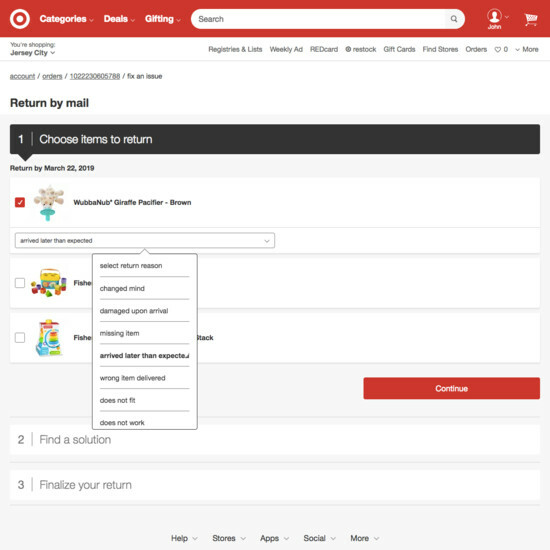 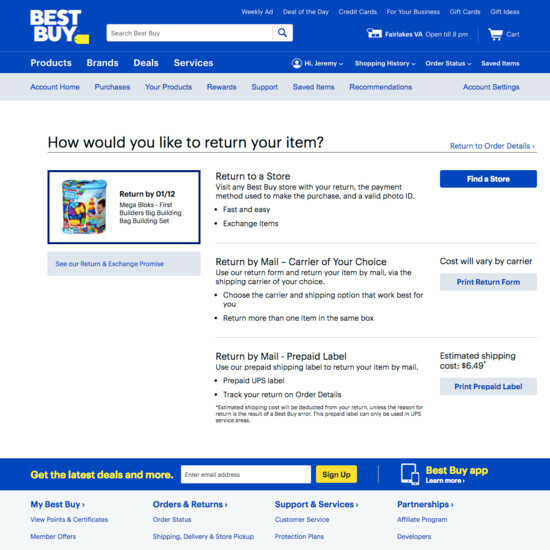 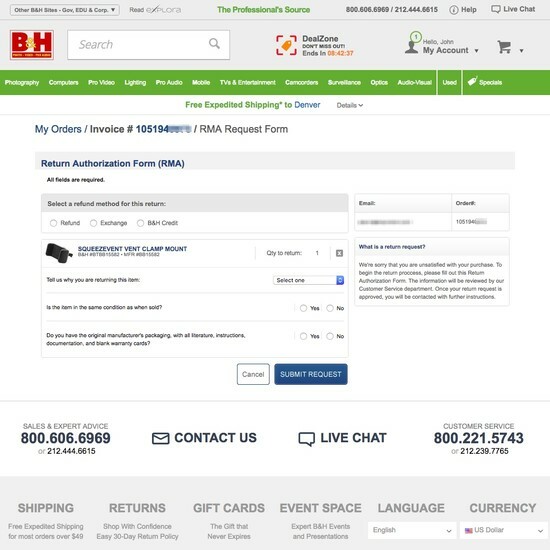 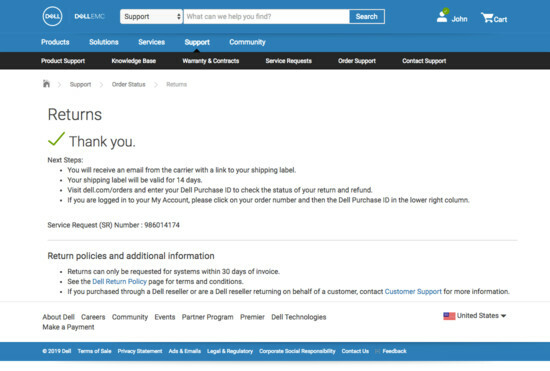 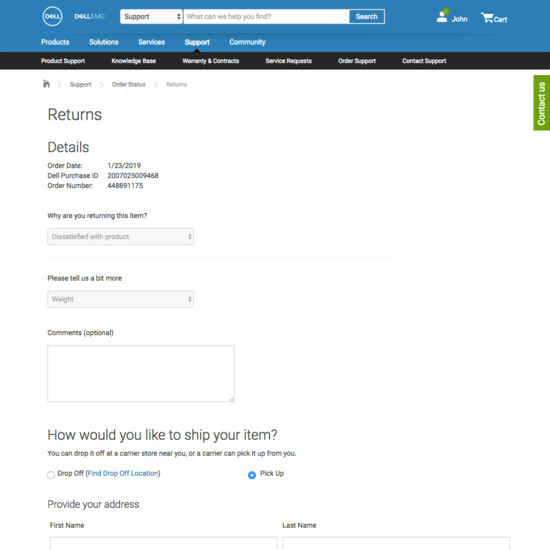 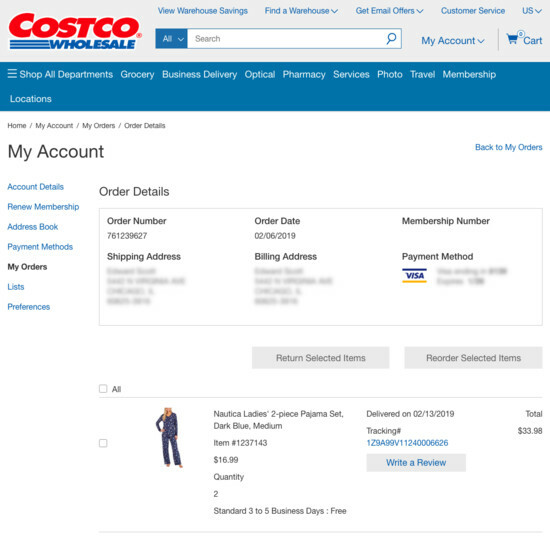 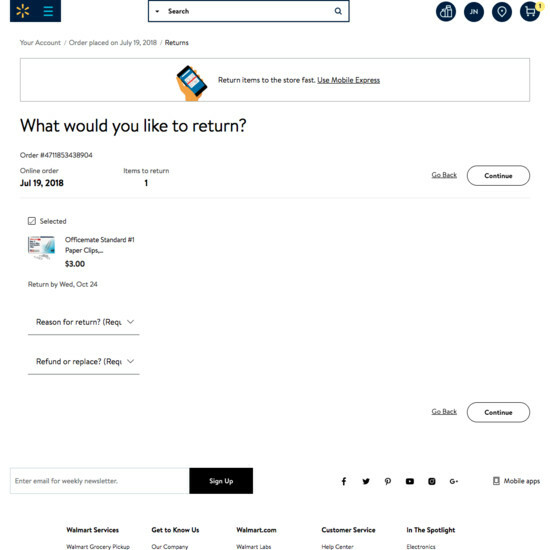 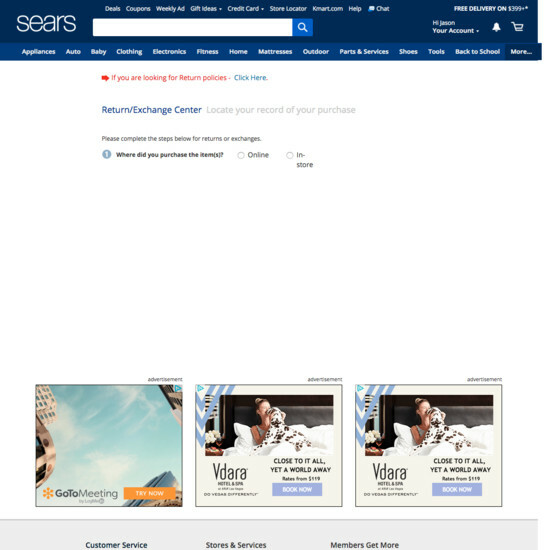 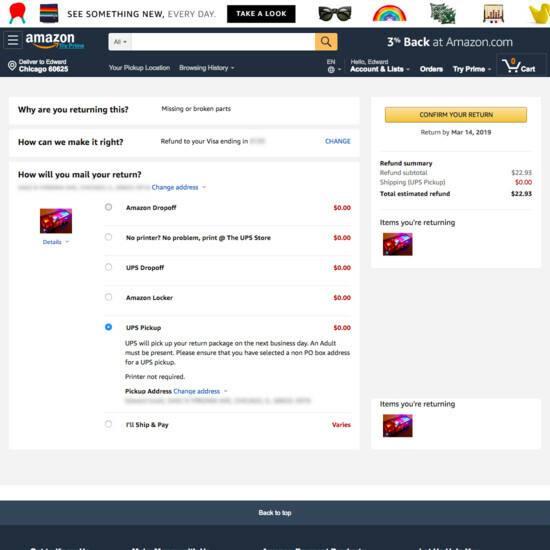 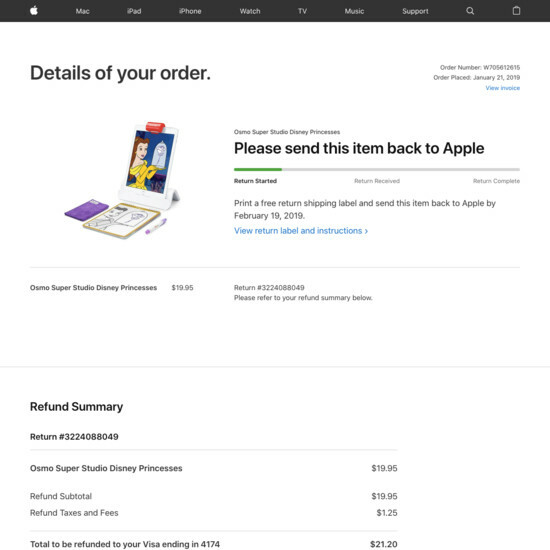 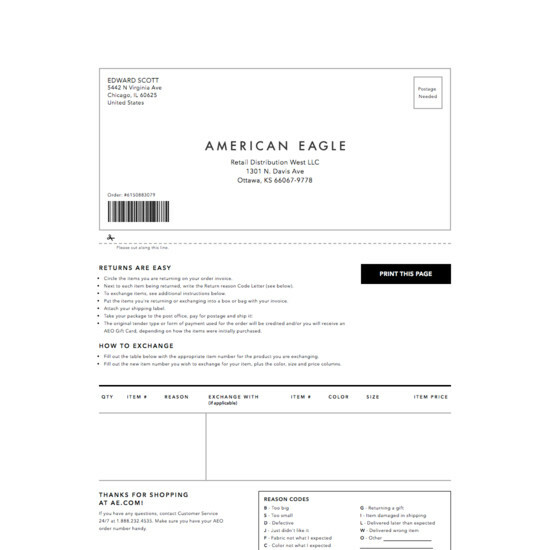 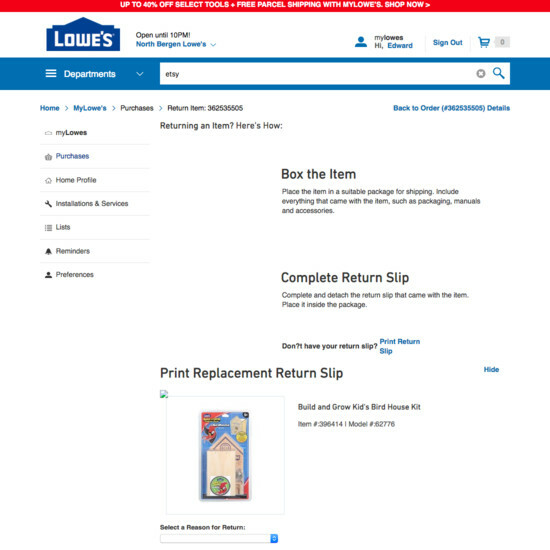 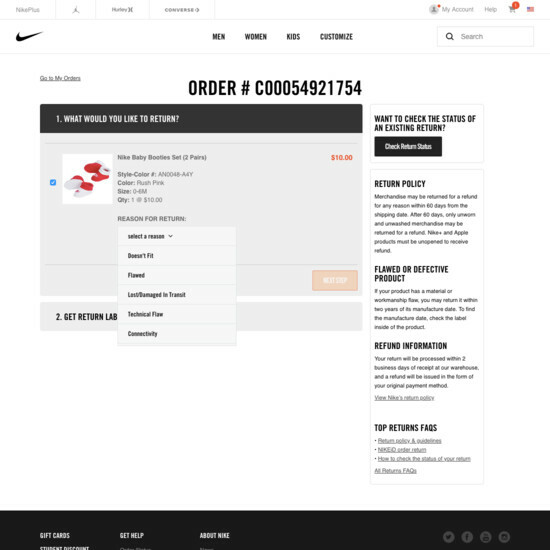 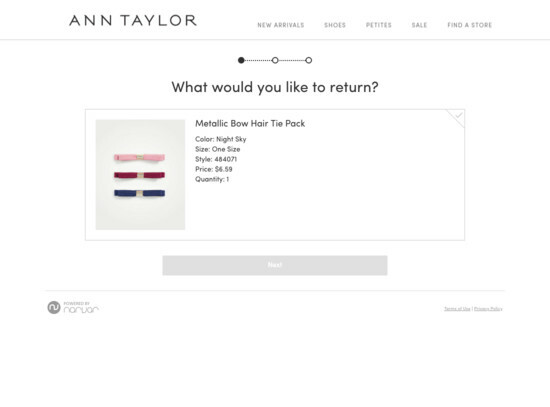 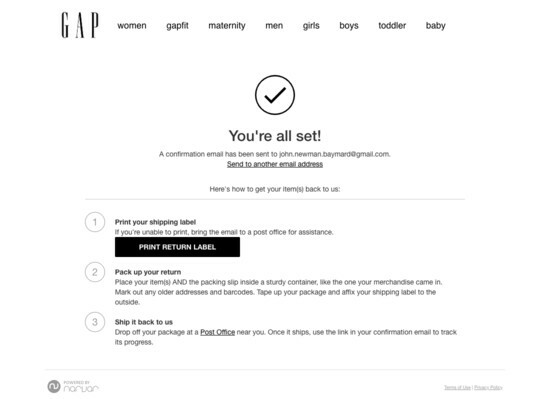 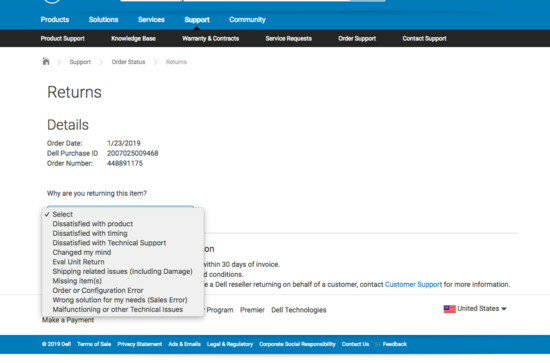 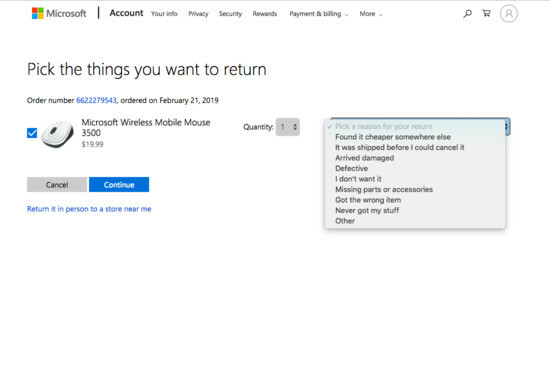 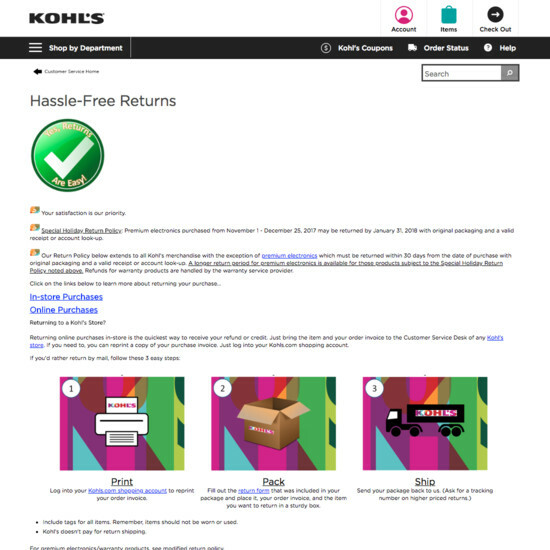 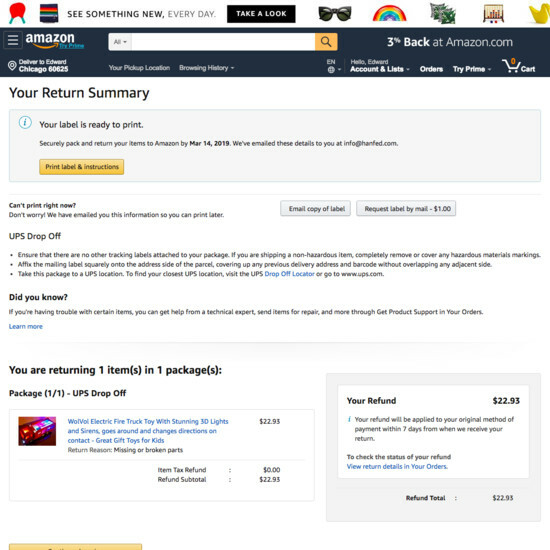 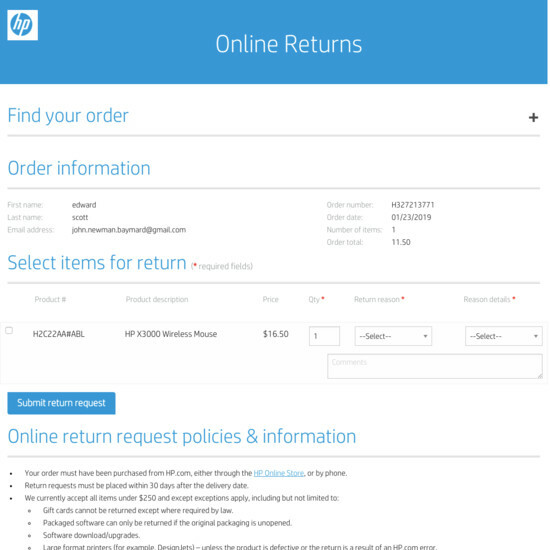 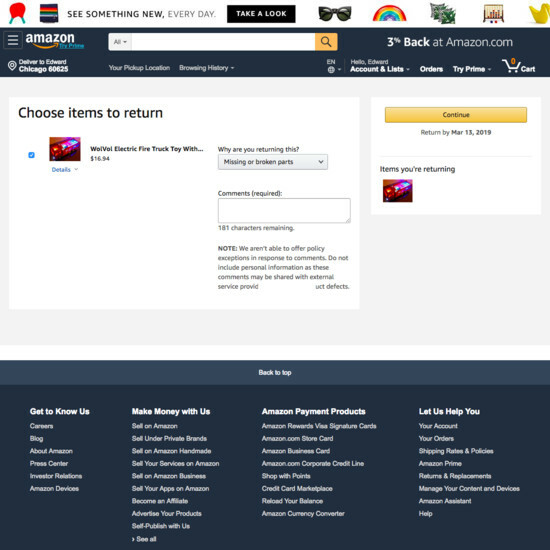 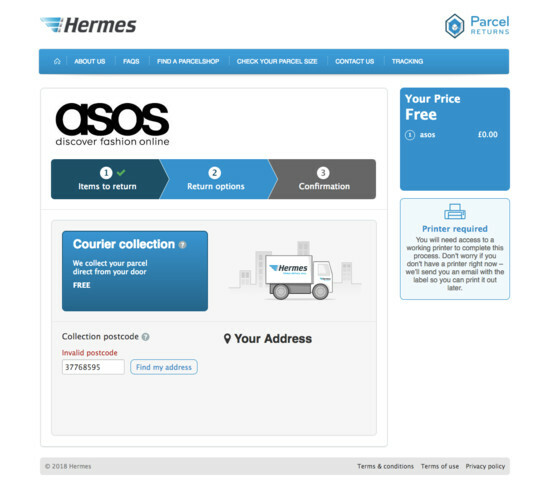 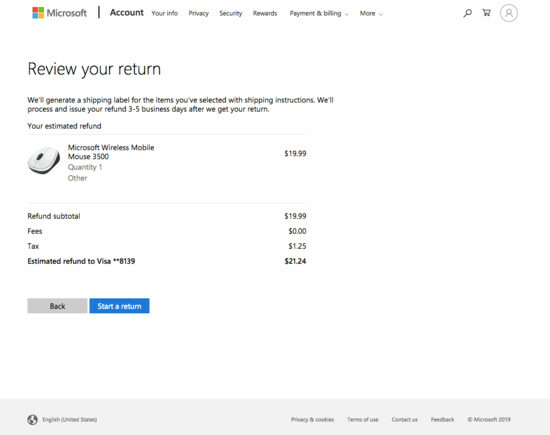 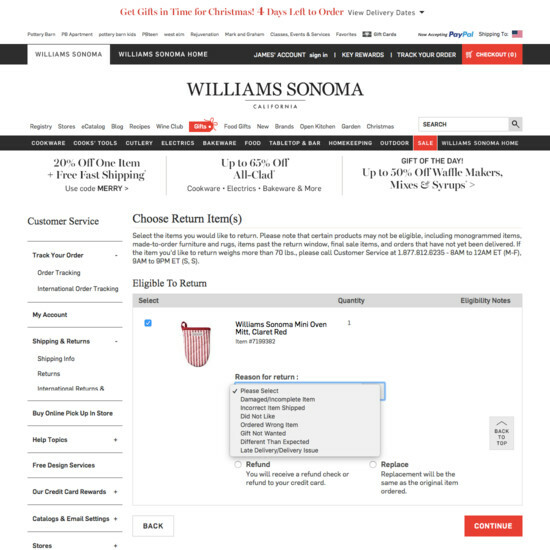 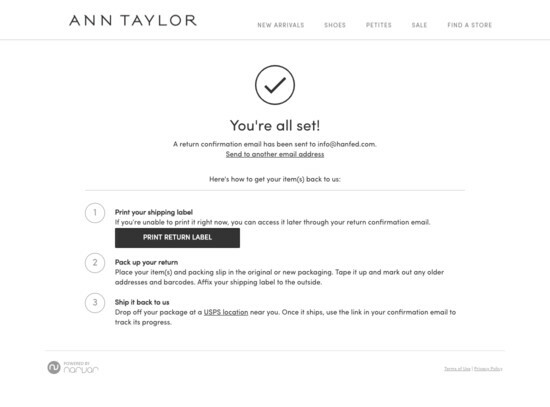 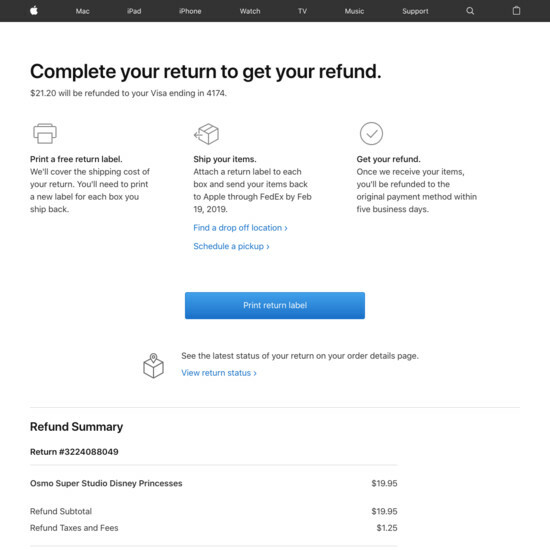 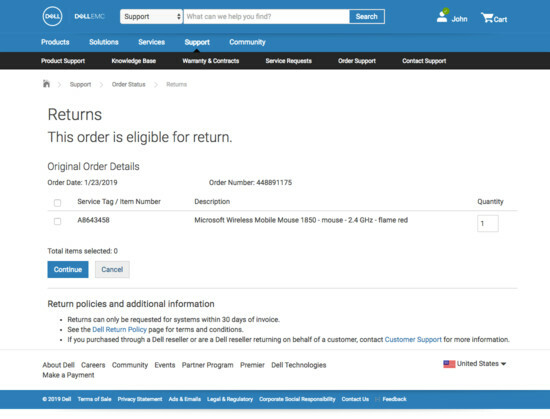 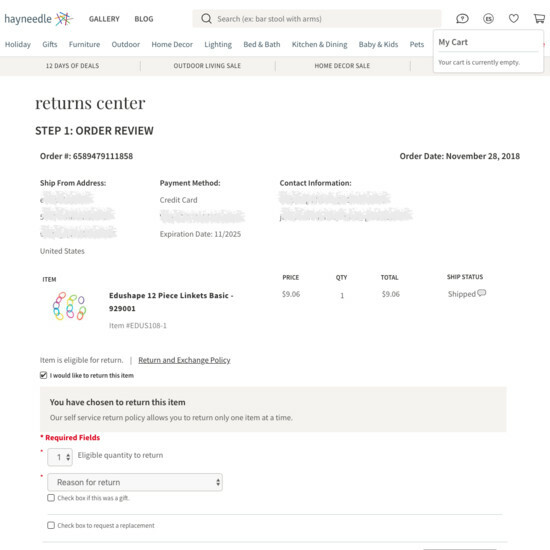 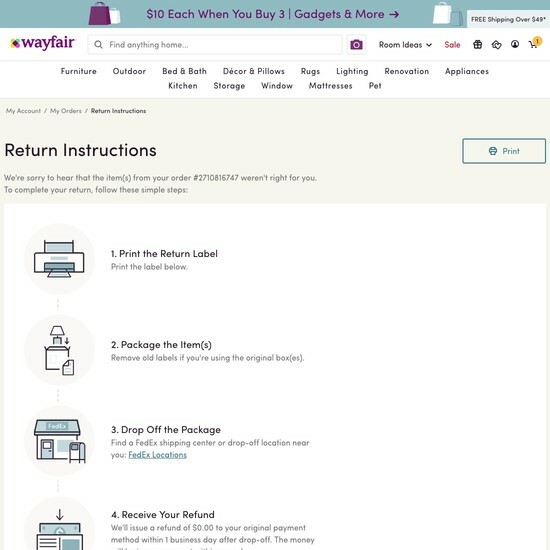 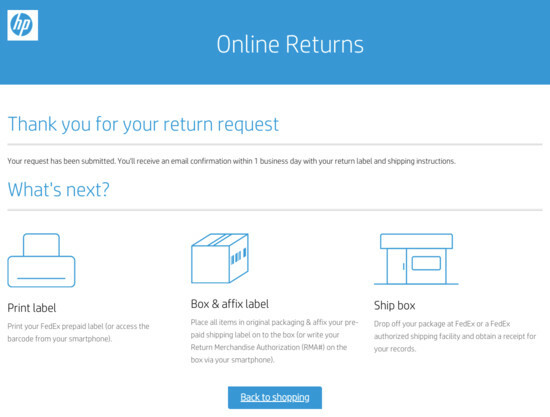 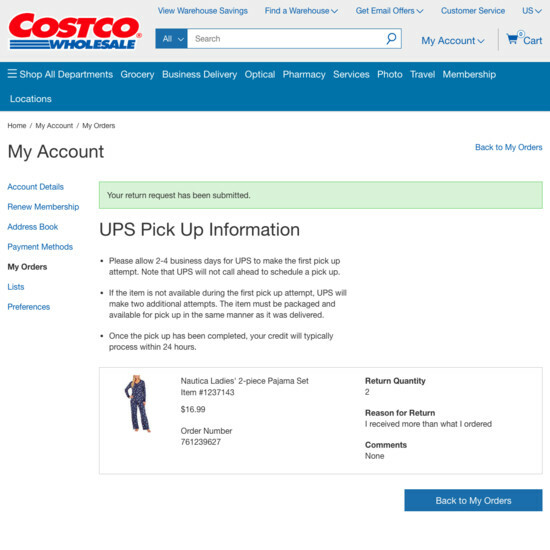 Learn More: Besides exploring the 52 “Order Returns” design examples below, you may also want to read our related articles on “Have a ‘Cancellation Requested’ Order State” and “New Research Findings on ‘Accounts & Self-Service’ UX”.